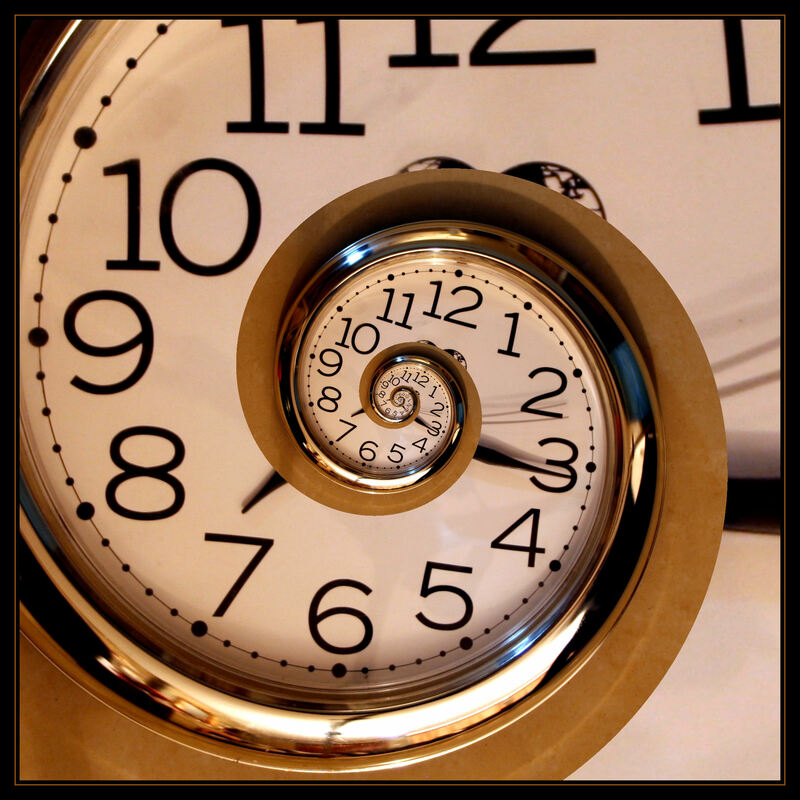 Time: fourth dimension or nah? Philosophers, science nerds and knowitalls have been arguing about the nature of time since before Einstein and in the century since – but is time really the “fourth dimension”? Conventional, regular, average joe on the street will tell you time is the fourth dimension. With a little more education behind it someone might try to convince you mathematically that we live in a 4D world theorized by Minkowski, called spacetime. Einstein certainly agreed and used the term “space-time” in his writings. Set in the present time: Amrit Sorli and Davide Fiscaletti, who founded the Space Life Institute in Slovenia, present a compelling case for time existing completely outside of spacial dimensions. Sorli and Fiscaletti are able to use logic to prove two well-known phenomena of Einstein’s special relativity can be shown to occur in 3D space with time being merely the quantity used to measure change within those dimensions. Sounds complicated? Conversations about time and space usually are. People often judge time from a place of deep intuition. The concept of duration plays an integral part of any mathematical description of a physical system. Sorli and Fiscaletti theorized back in the early 2000’s that a Newtonian idea that time is the fourth dimension of spacetime is completely wrong. They propose a new way to view time, which corresponds to the physical world. Time is a measure of the numerical order of change. So take a closer look at what they have to say about special relativity. According to special relativity, the speed of light is constant in all reference frames, and there can’t be an absolute reference frame. If you want to argue or read up about why those tow things are true, I suggest reading about Minkowski spacetime. Once you are caught up, you will see the three empirically evident spatial dimensions that like anyone can just intuitively understand. Meanwhile the supposed dimension, time, is mathematically represented by an abstract coordinate. There is a huge difference right away when you try to conceptualize time as a dimension: time can’t be visualized in any tangible way. Sorli and Fiscaletti argue concepts of special relativity are sound but ever since the 4D Minkowski spacetime got introduced to humanity, we’ve all lived in a century-long misconception where time is the “fourth dimension” of space. They have a point, too: It’s bad science because there is no experimental support behind it. Sorli and Fiscaletti argue against often-quoted experiments, such as those demonstrating time dilation by showing clocks run slower in high-speed airplanes don’t do a damn thing to support Minkowski spacetime, despite proving special relativity and time dilation. Sorli and Fiscaletti argue that the slower passing of time at faster speeds is better described by relative velocity between the reference frames the clocks are measuring. Another illustration of the two opposing sides of the debate: Imagine you have two light clocks. A light clock is where the “ticking” mechanism is a photon reflected back and forth between a couple mirrors. Each time the photon travels from one mirror to the other the clock “ticks”. 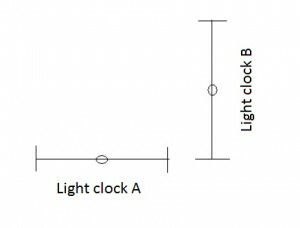 Two of these light clocks get arranged at right angles to each other on a movable platform, with the mirrors in clock A oriented horizontally and the mirrors in clock B oriented vertically. By moving the platform horizontally at a high speed the distance the photon travels in clock A should shrink causing it to tick faster than clock B. After, I assume, high fiving each other for literally proving Einstein wrong about something, Sorli and Fiscaletti go on to suggest what is at play in the 2 clocks experiment. The time difference and different ticking rates of the two clocks don’t support the speed of light being constant in all inertial reference frames. The mere fact that photons are traveling at right angles through 2 different spacial dimensions makes clocks out of sync. They take it a step further and mathematically demonstrate a solution by replacing Minkowski 4D spacetime with 3D spatial coordinates X, Y, and Z, and Selleri’s formalism for velocity transformation of material change an equation that happens outside spatial coordinates. Translation: people used to think this experiment proves relativity but because the photon is traveling in space it can’t prove anything beyond spacial contraction. During the motion of the platform, the actual distance the photon is traveling is shorter.